HARD Summer returns to Southern California at the Speedway in Fontana on Saturday, August 4 and Sunday, August 5. With less than a month away, we can’t help but begin to be excited for this event. As always, HARD continues to bring the biggest artists in hip-hop and electronic music. If you haven’t checked out the lineup yet, peep it down below. 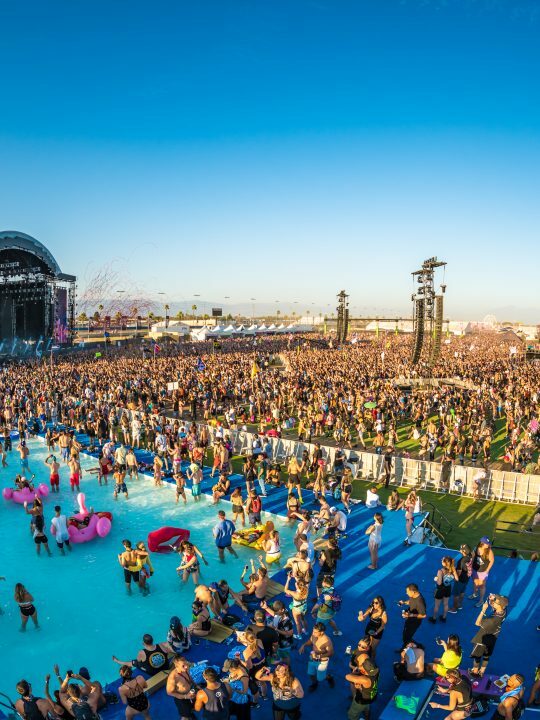 Here are 5 artists to be excited to see at HARD Summer. Be sure to add these to your list of artists to check out this year! 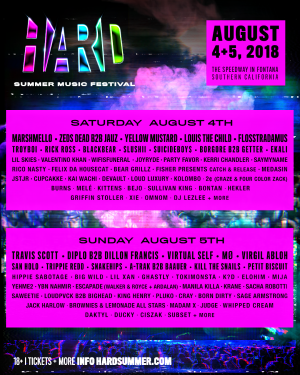 Chicago-based duo is headlining HARD Summer on Saturday, August 4. They have been leveling up their music and putting on a bigger production so Louis the Child is a set you don’t want to miss. When they take the stage they don’t restrict themselves on the music they play. They like to play to the energy of a crowd and mix electronic dance music with classic song-writing — songs that are timeless and ones that people can get lost in. If you haven’t heard of Sullivan King by now, you are missing out. Sullivan has his own unique sound where he combines metal guitar and dubstep. From collaborations with various artists such as Kayzo, Dirtyphonics, and more, he is a rising star in the bass music scene. He will also occasionally go on stage and with his guitar and sets the stage ablaze with his fire metal riffs. Long time HARD artists Diplo and Dillon Francis are coming together for a very special b2b set. Out of all the b2b sets that weekend, I’m most excited for this one. Recently Dillon has been coming out with singles with his classic moombahton sound that he is mostly known for. Diplo and Dillon always put on a great show bringing in the hottest beats and energy to the crowd. Catch this set on Sunday, August 5! Porter Robinson’s side moniker, Virtual Self will also be taking the stage this weekend. Virtual Self has captivated audiences around the world, combining techno, trance, and Porter’s unique sound. If you haven’t seen Virtual Self yet, be sure to not miss his set. 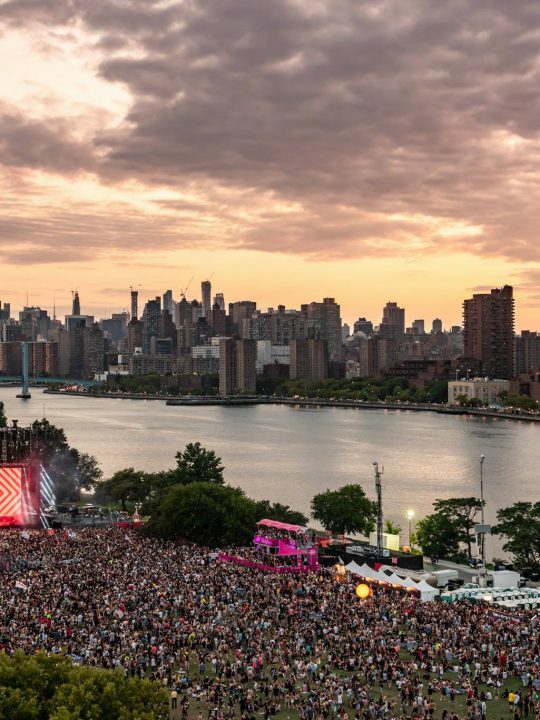 The visuals, production, and the music are a must-see this weekend. 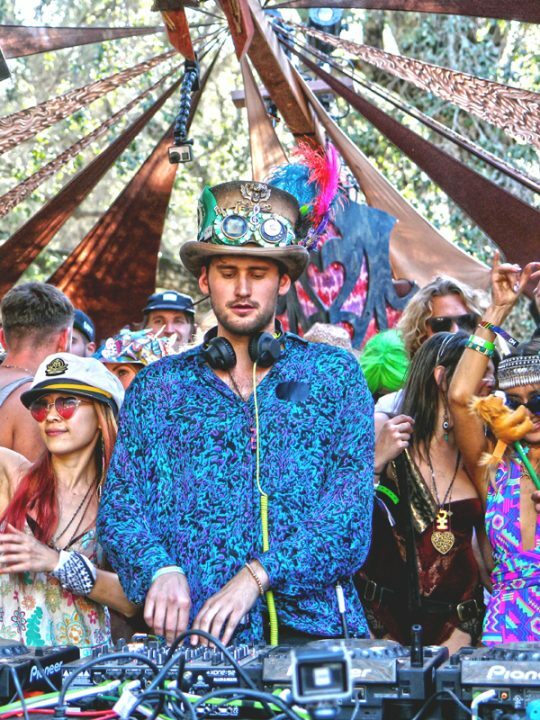 Dirtybird fans be sure to catch Walker & Royce and Ardalan who have joined forces known as Escapade. They recently came out with a two-track EP that are perfect tunes to listen to at a festival this summer. You can catch Escapade on Sunday.